Originally born in the Bay Area, Andrew Holzbaur has been residing in Los Angeles since 2010. He's been playing drums for 24 years and has been professionally touring and recording consistantly for over 12 years in the US, Mexico, Canada, Europe, and the UK. Some of his previous bands include OBLIGE (Stillborn), THE DEVASTATED (Century Media) and was a touring/filling-in for IMPENDING DOOM (EOne). 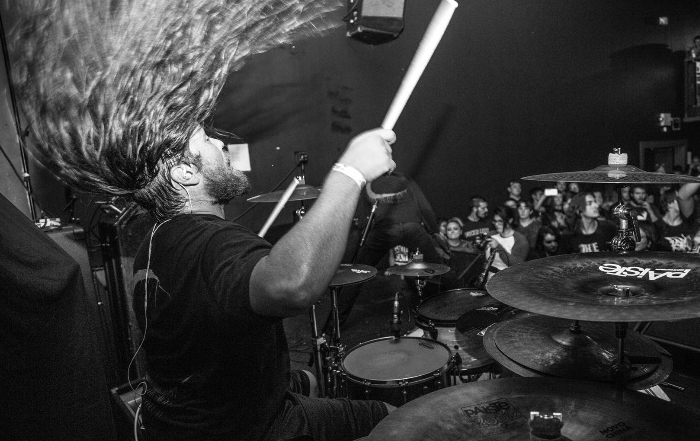 In the early of 2015, Andrew joined Chicago's finest OCEANO. With the Release of the bands current album "Ascendants" (Earache Records), his touring schedule through the year 2015 was non-stop busy. Entering into 2016, the band is on a steady and diligent commitment of domestic and international touring. New heights will be reached. Working hard and staying focused towards music has and will always be the #1 priority for Andrew.